ELIN (European Languages Virtual Network) is a European Union Lifelong Learning Programme Project aimed at creating an informal social network to support and facilitate languages learning, this social environment is so called MyElvin. This social platform allows a very interesting combination of formal and informal learning activities. The research work behind this project aims to research and develop the connection between social networks, professional profiles and language learning in an informal educational context. At the core of the ELVIN project, there will be a web 2.0 social networking platform, MyElvin that connects employees/students for language practice based on their own professional/academic needs and abilities, using all relevant technologies. This paper presents the first system prototype that integrates social media and content repository. Growth based on knowledge and innovation. An inclusive high employment society. The creation of a competitive, connected and greener economy. Knowledge is the engine for sustainable growth in a fast-changing world. Education, research, innovation and creativity all positively impact on this growth. 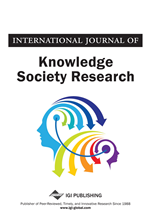 The aim for 2020 is to achieve a genuine European Knowledge Area, underpinned by a world-class knowledge infrastructure, in which all participants (students, teachers, researchers, education and research institutions and enterprises) benefit from the free circulation of people, knowledge and technology (the 5th freedom). Europe should fully tap into the potential of the digital economy. This economy offers great opportunities for Small and Medium Enterprises (SME), both in the production and services sectors in their own right and as suppliers to larger companies or public administration. The digital era combined with suitable skills training, is key in promoting lifelong learning. Lifelong learning facilitates easier transitions between jobs and occupations, and helps avoid long-term unemployment and the subsequent loss of human capital. Facilitating the mobility of all citizens, including students and professionals, is also an important goal of the 2020 Strategy. The acquisition of new knowledge and languages can be facilitated through citizens gaining experience living and studying abroad and building networks, this is instrumental in building a real European Identity. Europe needs to remain competitive in a future of relatively high energy prices. Creating a green economy is not only about the creation of new industries. It is just as important to accelerate the modernization of Europe’s existing industrial sectors, many of which will already be restructuring in the wake of the economic crisis. Upgrading and inter-connecting infrastructures to help ensure effective competition of network industries in the single market is a key to improving competitiveness and at the same time to delivering tangible benefits for consumers. In this context and with a view to the 2020 deadline EU and member governments must take actions that include prioritizing investments in research and development, new technologies, innovation, high-quality education and skills development, and in smart networks. This means combining investments with modernizing existing structures and enhancing the efficiency of public administration. In response to the Europe 2020 framework the ELVIN (European Languages Virtual Network) project started in November 2009. ELVIN aims to research and develop the connection between social networks, professional profiles and language learning in an informal educational context, with a special focus on language learning in public administration and higher education. This paper is devoted to presenting the first technological prototype of the ELVIN system as a web-based learning environment for language practice in informal contexts. The paper structure is organized as follows: Sections 2 and 3 present the project objectives and the workload organization respectively; the first prototype is presented in Section 4, taking into account its main technological and educational characteristics, especially its relation to web 2.0 and social networks; Section 5 defines the content request protocol for learning content population of the Elvin system; finally, the paper presents a set of conclusions and an overview of further work (Section 6). ELVIN is a European Union Lifelong Learning Programme Project aimed at creating an informal social network to support and facilitate language learning. The project started in November 2009 and will finish in October 2011. This project is coordinated by the Castile and Lion School of Public Administration (ECLAP) (http://www.eclap.jcyl.es/). ELVIN aims to bring together online social networks, professional profiles and language learning in an informal education context.